Select naturally curly or natural straight. This hair is all natural and is between 1B & 2 in color (off black-dark brown). If this color is unsuitable for you, you can have it colored as desired by a licensed professional. Please note- the wavy hair is measured when pulled straight. When ordering, please account for shrinkage (the amount of length lost when in curly state). Machine Wefted. Each package is about 4 ounces. 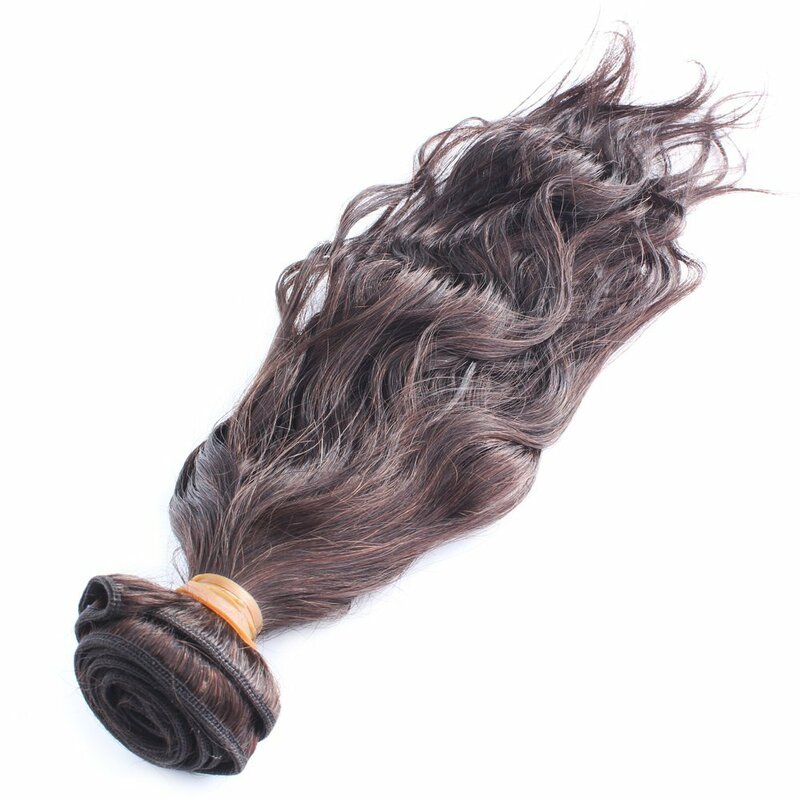 It generally takes 8 ounces for a full install, if installing longer than 16 inches you may need additional bundles to achieve desired fullness. If you would like this item colored, Click here for custom order If you would like a sample, click here.